Background: Women living with human immunodeficiency virus encounter unintended pregnancy with related risk of mother to child transmission of HIV. Unintended pregnancy among these peoples is associated with inconsistence use of contraceptives. 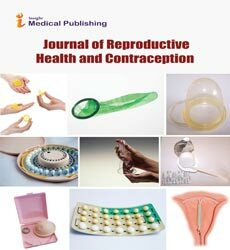 The aim of this study is to assess the prevalence of modern contraceptive utilization and associated factors in the Mizan-Tepi teaching and referral hospital. Methods: Hospital based cross-sectional study was conducted on 382 HIV positive reproductive age women who were on antiretroviral therapy. Data was gathered using pretested structured questionnaire in exit interview. Data was entered using Epidata version 3.1 and exported to SPSS version 21.0 for further analysis. Binary and multivariable analyses were done using SPSS. Results: Majority (98.2%) of women ever heard at least one type of modern contraceptives. However, only 64.1% of them were using modern contraceptives. Injectables (64.9%) and condoms (31.4%) were the most commonly used contraceptives whereas intrauterine devices and implants were used by only 2.4% and 9.8% of the participants respectively. Women whose age ≥ 35 years old (AOR=0.30; 95% CI: 0.09, 0.96), Muslims (AOR=0.34; 95% CI: 0.17, 0.67), widowed/ separated (AOR=0.21; 95% CI: 0.10, 0.45), monthly income ≥ 1500 birr (AOR=0.29; 95% CI 0.13, 0.69) and not having discussion with partner (AOR=0.18; 95% CI 0.07, 0.47) were less likely to use modern contraceptives. Whereas, women whose partner educational status secondary and above (AOR=2.78; 95% CI 1.22, 6.36) were more likely to use modern contraceptives. Conclusion: Modern contraceptive utilization is suboptimal. But, utilization of long acting contraceptives was found to be very low. Partner level of education and open discussion with partner were positively associated with contraceptive use. However, old age, being Muslim and being widowed/separated were negatively associated with current contraceptive use. Therefore, behavioral education and communication targeted on improving contraceptive use among HIV positive women need to address these factors.